“We/Us/Our” means English Holiday Cruises Ltd. , a company registered in England under 05207004, whose registered address is Windsor House, Bayshill Road, Cheltenham, GL50 3AT and whose main trading address is 5th Floor Alexandra Warehouse, The Docks, Gloucester GL1 2LG. Our Site, englishholidaycruises.co.uk, is owned and operated by English Holiday Cruises Ltd. , a limited company registered in England under 05207004, whose registered address is Windsor House, Bayshill Road, Cheltenham GL50 3AT and whose main trading address is 5th Floor Alexandra Warehouse, The Docks, Gloucester GL1 2LG. Our VAT number is 846761493. We are regulated by The Ministry of Transport. We are a member of ABTA, British Marine, Visit England and Federation for Small Businesses . We recommend that you choose a strong password for your Account, consisting of a combination. It is your responsibility to keep your password safe. You must not share your Account with anyone else. If you believe your Account is being used without your permission, please contact Us immediately at sales@englishholidaycruises.co.uk. We will not be liable for any unauthorised use of your Account. If you close your Account, any Reviews or comments you have created on Our Site will be anonymised. User Content on Our Site includes (but is not necessarily limited to) comments, reviews and forums. If you wish to remove User Content from Our Site, the User Content in question will beanonymised. Please note, however, that caching or references to your User Content may not be made immediately unavailable (or may not be made unavailable at all where they are outside of Our reasonable control). Framing or embedding of Our Site on other websites is not permitted without Our express written permission. Please contact Us at sales@englishholidaycruises.co.uk for further information. We make reasonable efforts to ensure that the Content on Our Site is complete, accurate, and up-to-date. We do not, however, make any representations, warranties or guarantees (whether express or implied) that the Content is complete, accurate, or up-to-date. Please note that this exception does not apply to information concerning services for sale through Our Site. 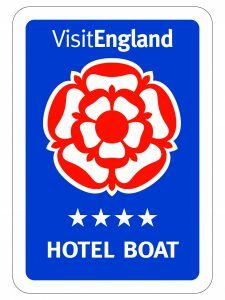 Please refer to Our Terms of Bookings for more information http://river.englishholidaycruises.co.uk/booking-refunds-policy/. The provisions of this Clause 10 apply only to the use of Our Site and not to the sale of services, which is governed separately by Our Terms of Sale http://river.englishholidaycruises.co.uk/booking-refunds-policy/. To contact Us, please email Us at sales@englishholidaycruises.co.uk or using any of the methods provided on Our contact page at http://river.englishholidaycruises.co.uk/contact-us/. For questions or complaints about communications from Us (including, but not limited to marketing emails), please contact Us at sales@englishholidaycruises.co.uk or via http://river.englishholidaycruises.co.uk/contact-us/.